In the vast world of science fiction, there is a frequent and frequently unfair desire to contextualize an individual work with comparables within its own genre. Unique voices are met with resistance, their greatness discounted in the face of a catchy selling point that unintentionally renders a work as derivative of something that came before. 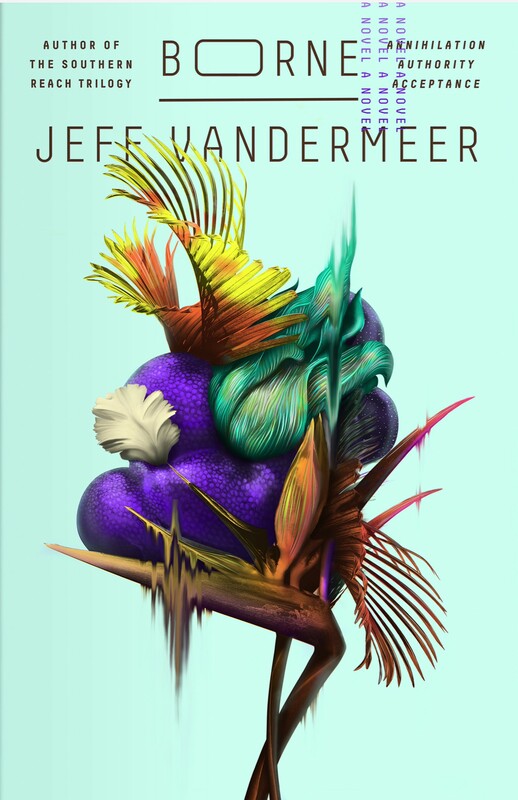 Jeff VanderMeer deserves better than this and with his latest novel Borne he has created something entirely new. 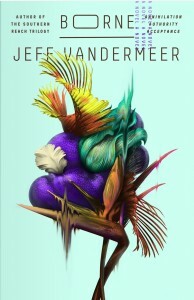 Any efforts to relate to VanderMeer’s biological marvel through familiars like the Fallout video games, or a kaiju cinema wasteland, or the Parasyte manga and anime series or even Stephen Chow’s lovable film CJ7 would be in vain, half correct, at the risk of missing the point entirely. Borne is a new strain, a tale as emotionally and ecologically adventurous as it is a dystopian warning. Rachel and Wick are survivalists in a biotech ruin. They live in the Balcony Cliffs, a network of caves laden with traps and secrets, and when they’re not scrounging for food and supplies, they tinker with engineering scraps and defend themselves from body-modified, bloodthirsty children. Outside the caves is a war zone: Mord, a building-sized ursine behemoth engineered by the now-defunct “Company” careens through the nearby ruined metropoli, toppling buildings and eviscerating anything in its reach. Mord’s chaos is sloppy and unrelenting, and “all kinds of treasures became tangled in that ropy, dirt-bathed fur, foul with carrion and chemicals.” Scavengers like Rachel would attempt to climb Mord’s flanks undetected to pilfer whatever carnage was hidden in his wake. Elsewhere in the land, an enclave led by The Magician teems with activity and a thirst for regional power. While climbing Mord for supplies, Rachel discovers a rainbow-hued lifeform, possibility parasitic, nestled in his fur. She takes it home and marvels at its curious biology: Wick, ever the engineer, wants to “make use of it” and dissect it into parts but “this thing I found,” she recalls, “was from the tidal pools of my youth…I could smell the pressed-flower twist of the salt and the feel of the wind.” Something about the specimen speaks to Rachel’s past, and to her motherly side. He was moving out of my apartment. To tell me this, Bone had made himself small and ‘respectable’ as he called it, almost human except for too many eyes. But, really, ‘respectable’ meant he looked like a human undergoing some painful and sludgy transformation into into a terrestrial octopus with four legs instead of tentacles. This is how he presented himself to ask a favor. [I] wanted Borne to be ‘normal’, to fit in, to be like a normal ‘boy.’ I wanted this desperately….And it struck me, too, that maybe I hadn’t kept up, that maybe it wasn’t just Borne’s physical growth that had accelerated but his mental growth, too. That, with no time to adjust, I still saw him as a child. That giant eye. That silly turret. Outside, The Magician advances and Mord continues his carnage; in the distance, remnants from The Company seem at work on something big. The world is a familiar sort of mess: “everything everywhere collapsed. We didn’t try hard enough. We were preyed upon. We had no discipline. We didn’t try the right things at the right time. We cared but we didn’t do. Too many people, too little space.” But somehow, amidst all this defeat, hope, or something like it with tentacles, was born.